My dear carnivore has recently learned he has an aversion to on of his favorite things - garlic. Can you imagine? I mean it is a real tragedy. It's like if I found out I was allergic to cheese. But, just like he doesn't give up meat for me, I haven't kicked the garlic habit for him. I just partake in that fragrant clove when he isn't around. After all it is one of my favorite things too. 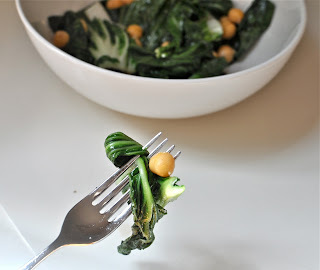 I recently made this dish of garlicky bok choy for lunch. Place the oil in a large skillet. I used a safflower oil that was infused with garlic and ginger, but a plain sesame oil would be fine as well. Peel and chop the garlic. Toss in the oil and heat on medium flame until fragrant. Mean while, clean and chop the bok choy. I like a few stems in mine, but you can remove those if you wish. 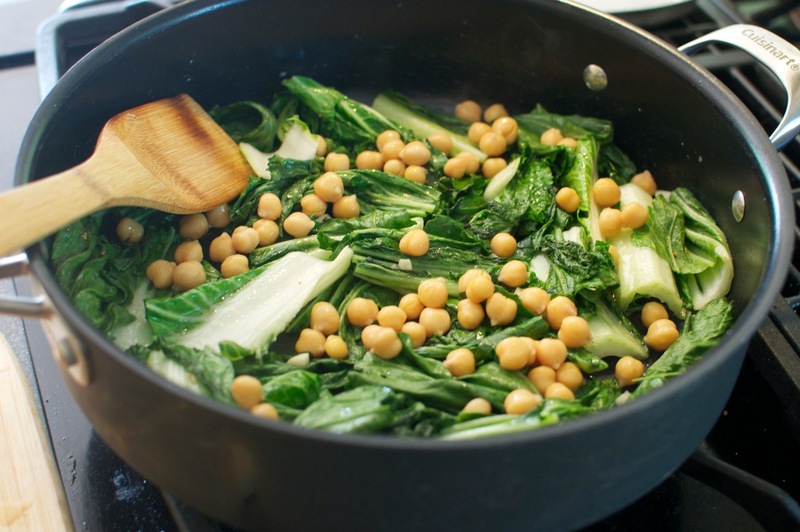 Add the greens to the pan and wilt. Season with salt and pepper. Toss in the chick peas and stir until warmed. Serve immediately. Simple and delicious. 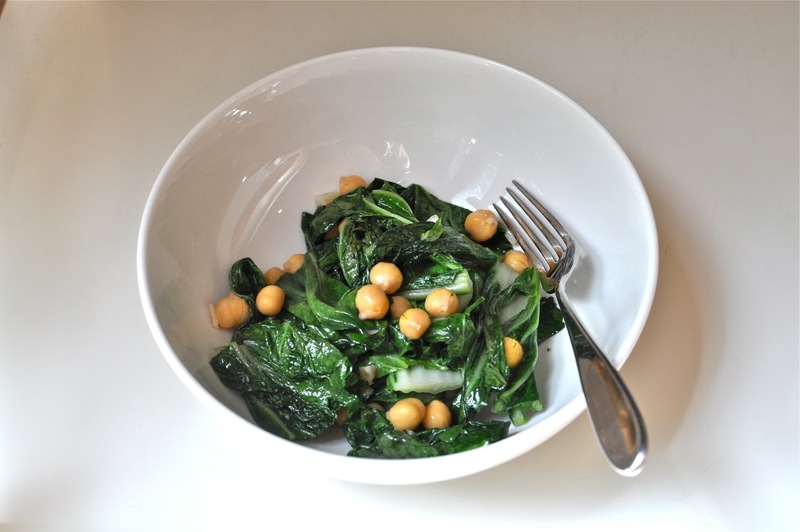 The greens are infused with the aromatic garlic and the chick peas give the dish some heft. It was one of my favorite lunches. Maybe it will be yours too.